There are many different types of yoga. Yoga means the system, and yogi means the person who practises the system. The object of yoga, the ultimate goal, is to understand Krishna. 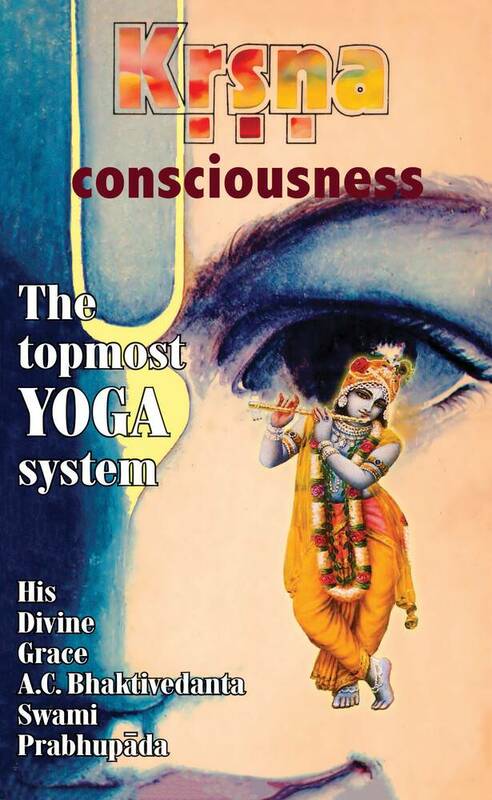 Therefore Krishna consciousness means to practice the topmost type of yoga. This topmost yoga system was described by Krishna in the Bhagavad-gita to His most intimate friend Arjuna. 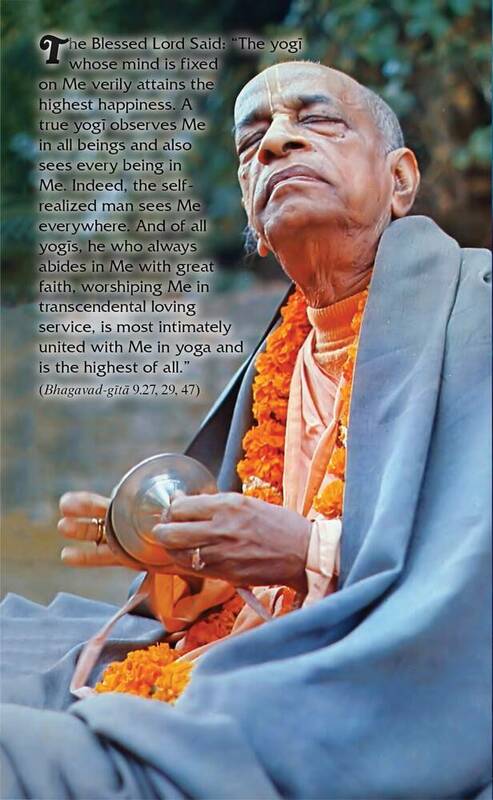 In this book Srila Prabhupada expands this idea for the benefit of society at large. Yoga means the connecting link between the soul and the Supersoul, or the Supreme and the minute living creatures. Lord Sri Krishna is that Supreme, the Personality of Godhead. Being, therefore, the ultimate object of yoga, Krishna's name is yogesvara, the master of yoga. The Bhagavad-gita is a narrative spoken by Sanjaya, the secretary of Maharaja Dhrtarastra. This is just like airwaves from the radio: the play is going on in the auditorium, but you can hear from your room. So, just as we now have such a mechanical arrangement, at that time there were also certain arrangements, although there was no machine. Anyway, the secretary of Dhrtarastra could see what was going on in the battlefield, and he was in the palace, telling this to Maharaja Dhrtarastra, who was blind. Now, the conclusion made by Sanjaya was that Krishna is the Supreme Personality of Godhead.